SINGAPORE – A residential site that can yield about 325 condominium units was put on sale via public tender by the Urban Redevelopment Authority on Tuesday (Feb 28). The 99-year leasehold site in Toh Tuck Road spans 18,721.4 square metres and has a maximum gross floor area of about 26,210 square metres. It was offered under the confirmed list of the first half 2017 Government Land Sales programme. 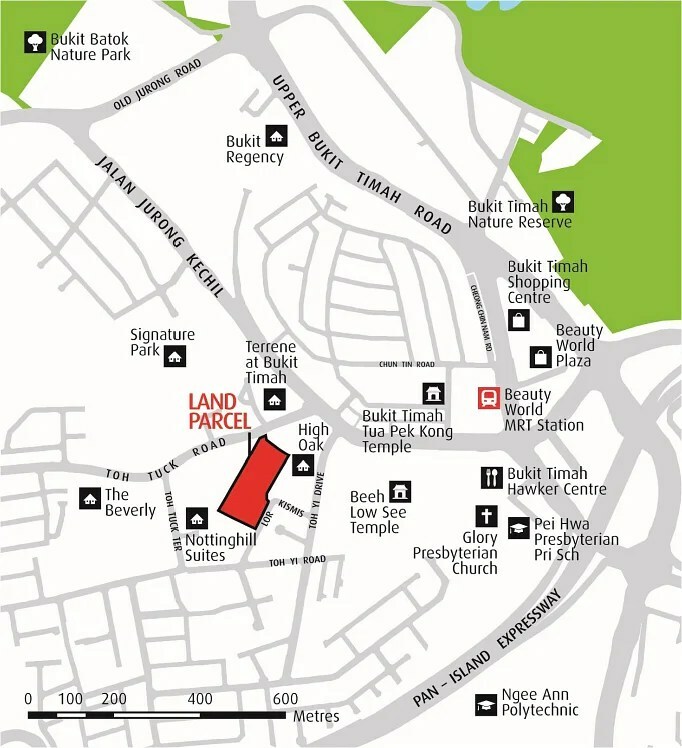 The site is locatedin an established residential area, and near Bukit Batok Nature Park and Bukit Timah Nature Reserve. “This site’s selling point is definitely in its low-rise development (maximum of fivestoreys, plot ratio of 1.4) and quaint living experience,” said R’ST Research director Ong Kah Seng. “However, there is limited exciting retailing offering in the immediate locality, except Beauty World Plaza,” he added. Mr Ong expects the site to attract five to eight bidders with the top bid coming in at around S$560-S$600 psf per plot ratio. He said the break even price for the project is likely to be from about S$1,100 to S$1,150 psf. The tender for the land parcel will close at noon on April 11, 2017.